Ethiopian popular singer Teddy Afro released his fourth and most recent studio album Tikur Sew (Black Man) in 2012. The title track was a tribute to the late 19th century Emperor Menilik II and the victory of a united Ethiopian front against an aggressive Italian invasion. The event commemorated in the song and reenacted in the video is the world famous 1896 Battle of Adwa. I am not alone in arguing that this is an event of global historical significance. It not only continues to feature prominently in the historical memory of many Ethiopians as a kind of patriotic touchstone that highlights Ethiopia’s fierce defense of its sovereignty in the face of encroaching European colonialism but also, Africans throughout the world drew inspiration from Ethiopia’s victory over a well-equipped modern Italian army. In many ways, Ethiopia became emblematic of African resistance and Adwa signaled the possibility of a future victory for Africans (Diaspora included) living under the yoke of colonial rule and oppressive segregationist policies. In Europe, and Italy in particular, the Battle of Adwa was a humiliating reminder of the limits of European colonial power and challenged erroneous assumptions about African inferiority. One can learn more about the global historical importance of the event itself here and here or learn about the legacy of Adwa as it is remembered in Ethiopia from Haile Girma’s documentary film Adwa. I read the message of the song as one that was calling on Ethiopians to remember the spirit of Adwa—unity forged in diversity. Additionally, it seemed important that the song itself makes mention of Empress Taitu (Menilik II’s consort who led troops into battle) and the video depicts (at least two) women on the front lines. 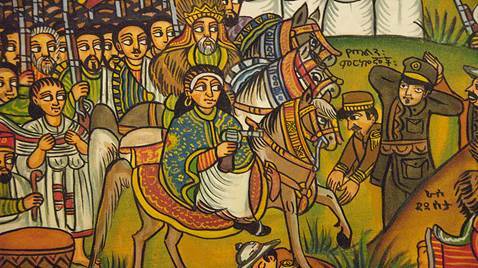 Ethiopian women have a long history of military involvement that often goes unacknowledged. Arguably, without the acumen of Empress Taitu, a skilled diplomat who was fluent in Italian and had the power to challenge her husband’s decision-making, there would be no Battle of Adwa to speak of. For it was Empress Taitu who urged Menilik II to declare war against Italy after discovering the discrepancies between the Italian and Amharic versions of the Wuchale Treaty—a treaty whose article 17 (in Amharic) recognized the sovereignty of Ethiopia and declared its relationship with Italy as a diplomatic partnership, while the Italian version made Ethiopia a protectorate. However, my sanguine interpretation of the song as an effort to remind Ethiopia of the importance of unity by highlighting significant contributions made by women and prominent Oromo/Gurage military strategists in the Battle of Adwa was not how it was received in Ethiopia. As I read the vitriolic exchanges happening in the comment section on youtube (I know, I know, never read the comments) and perused the blogosphere, I was immediately struck by the way in which Tikur Sew was being cast as an attempt to re-assert Amhara hegemony. For those less familiar with Ethiopian history, for centuries, political power was concentrated in the hands of those most closely associated with an Amhara identity. Some of the comments (like ones comparing Menilik II to Hitler) are not worth discussing because everyone knows that if a heated online discussion (regardless of topic or scope) goes on long enough, sooner or later someone will inevitably compare someone to Hitler. It appears that some of the most vocal condemnations of Teddy Afro’s song were rooted in an Oromo nationalist narrative associated with the OLF (Oromo Liberation Front). Let me be clear: on the one hand, it is entirely accurate to assert that violent conquest played an important role in the expansion and consolidation of Menilik II’s rule and that Oromo people have not received their due recognition by historians for their contributions to Ethiopian history. On the other hand, some of the talking points presented as historical facts and used to rail against Tikur Sew are either not supported by historical evidence or have very little to do with the content of the song itself. For instance, some commentators claimed that between 1868 and 1900, Menilik II’s army killed half of the Oromo population (amounting to 5 million). It appears that even Al-Jazeera repeated this figure in an article that contains several other inaccuracies that I won’t address here. While Ethiopia did not undertake its first official census until the 1960s, most estimates of Ethiopia’s total population in the 19th century fall somewhere around 9 million—making the 5 million number highly questionable. Then there was the controversy over a local media outlet (Enqu) that used an an incendiary quote falsely attributed to Teddy Afro as its headline for an electronically circulated article: “For me, Menelik’s unification campaign was a Holy War.” Teddy Afro denied making the statement. The editors subsequently told their email subscribers that it was a “technical” error and distributed a different modified version. How a “technical” error can result in a fabricated quote remains unclear. 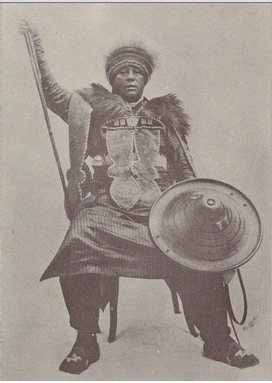 Other commentators argued that Meneilik II, like all Amhara rulers of the “Abysinnian state,” colonized the Oromo and some went so far as to claim that Oromo would have been better off if the Italians had won the battle. First, we have the historical example of Italy’s second invasion and subsequent occupation (1936-1941) to remind us that the Italians were capable of violent atrocities (mustard gas, beheadings, summary executions) that spared neither Oromo nor Amhara. Secondly, presenting Amhara rulers as a colonizing force seems to be based on the notion that a homogenous Amhara political elite is responsible for creating the “Abysinnian state” in the first place. Yet, ethnic identity and its relationship to political power are far more complex. For centuries, Oromiffa speakers migrated and settled in northern Ethiopia (traditionally associated with “Abyssinia”) and often married with Tigrayans, Amharas and Afars. Hence the idea that an ethnically homogenous “Amhara” group ruled the “Abyssinian” state is mere fiction—though perhaps a politically useful fiction (for Amhara nationalists) as ethnicity increasingly becomes the basis of political organization in Ethiopia. One could also argue that what is generally thought of as “Amhara” culture has been consistently shaped by centuries of Oromo migration, integration and political participation. 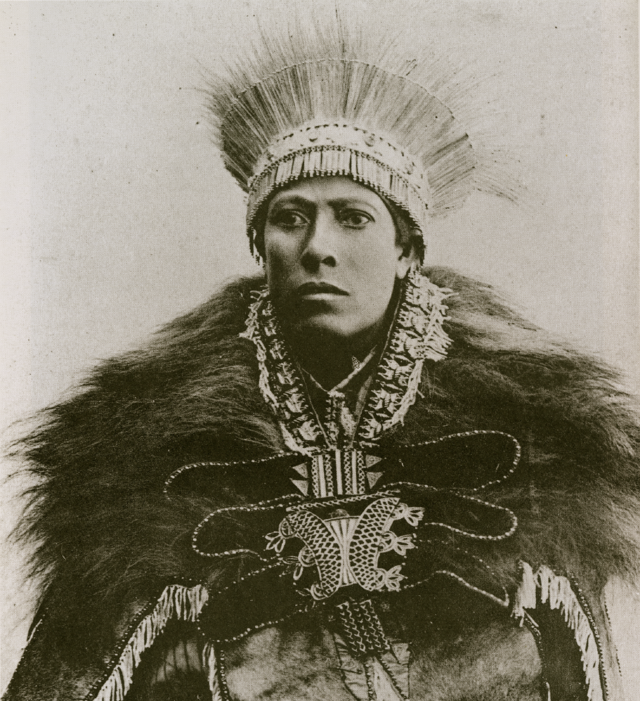 Menelik II himself has both Oromo and (by some accounts) Gurage ancestry. The mother of Emperor Haile Selassie I, Menelik II’s successor, was paternally Oromo and maternally Gurage, while his father Ras Makonen Woldemikael’s was born of an Oromo father and Amhara mother. Based on his parentage, the last Emperor of Ethiopia was more Oromo than he was Amhara. In any case, the idea that ethnicity functions today in Ethiopia as it always has can be discounted by a number of historical examples. In many ways, the controversy over Tikur Sew has more to do with contemporary ethnic politics—and the role that ethnicity plays in present-day Ethiopian society than it does with the actual content of Teddy Afro’s song or the historical event it commemorates. All that said, there is no doubt in my mind that Teddy Afro’s Tikur Sew is an oversimplification—and indeed a glorification—of a complex set of historical circumstances that highlights Menilik II’s efforts to defend Ethiopian sovereignty and does not address the violence meted out to those who resisted his efforts to incorporate the southern regions into his kingdom. Yet when is it realistic to expect nuance and complexity from pop stars? You can read my translation of the lyrics below. When I saw St. George’s horse standing (this reference to St. George should be understood to mean that St. George, the patron saint of Ethiopia played a decisive role in the victory. The story is that Menelik II prayed to St. George before going to Adwa and vowed to build a church in his honor should he be victorious. That is the origins of Kidist Giorgis Cathedral in Addis Ababa, which was erected as promised during Menelik II’s reign. Also Priests marched into battle carrying the Ark of the Covenant – hence the victory is seen as not only of great political importance but is of great spiritual significance. ታዲያ ልጁስ ሲጠራው ምን አለ ? So what? when the child called, what was said? Rachael Hill is a PhD candidate at Stanford University interested in the history of health and medicine in Africa. Her current research focuses on the history of scientific research on Ethiopian medicinal plants and efforts to integrate traditional healing with biomedicine in 20th century Ethiopia. Also, if anyone is interested in a critical history of constructions of Amhara ethnic nationalism, “Who is Amhara?” by Mackonen Mikael in Ethiopia in Transit: Millennial Quest for Stability and Continuity and “The Invention of Amhara Nationalism: Ethnicity and National Identity In Ethiopia” (Amadssu Kebede, PhD diss.) are useful starting points. Tags: Ethiopia, Ethiopian Music, Ethnic Politics, Teddy Afro, Tikur Sew. Bookmark the permalink. I do not believe that skin color, ethnicity or national origin (or a PhD for that matter) determines one’s qualification to study the past. I also think it is dangerous to set racially defined borders on one’s intellectual curiosity. I am intellectually curious about all parts of the globe, the country of my birth included. Also, this was no attempt to tell people their history but rather to explore an historical event as it is represented in popular discourse. My own understanding of Ethiopian history comes from listening to and reading what Ethiopian people have to say about their collective past. I have a profound respect and admiration for my Ethiopian colleagues who know and understand more about Ethiopia’s languages, cultures and histories than I can hope to in this lifetime. I am more than happy to engage in respectful dialogue with anyone who disagrees with ideas presented here. Conflicting perspectives are of value. Incendiary language and accusations are not constructive criticism and ultimately serves no one. Please make sure your comments fit within the guidelines outlined on the “Comments” page. The guidelines clearly state: “Please do not be abusive or mean. Try to engage others in dialogue and conversation, rather than resorting to denunciatory critiques” and “No forms of xenophobia, broadly defined.”–editor. Really? Anwar. How did Rachael, exploit “our history”..she used historical facts to argue her arguments. what are yours? being born in africa? There are other side also to Ethiopian History that is being lied about because it does not fit the traditional Abyssinian narrative. What you the author is telling us this narrative that has been rejected by the people of the south. The opposition to Tedy’s song comes not just from Oromos but all the groups the are affected by the action of Menelik. . Certainly criticism of Teddy’s song is not only from Oromo people and I did not mean to suggest that it is. I focused on only a portion of the most vocal criticisms here. I agree that the traditional “Abyssinian narrative” obfuscates the rich diversity of the region and often places Muslims and people of the southern regions outside of history. It is not a narrative that I am telling. What interested me is how a popular song generated a conversation that seems to have more to do with divisive contemporary ethnic politics than it does with the actual lyrical content or the historical event it commemorates. Menelik did not take part in the battle.Check your facts. Read Augustus Wlde’s report. (He was the Guardian’s war correspondent) Amharas (specially from Shoa ) hold Menelik like their Messiah because he consolidated Shoan cultural political and economic supremacy by selling Eritrea to the Italians ( to weaken the Rases of Tigray) and by annihilating the many autonomous kingdoms of the Oromo and the Souther Ethiopian’s. The current federal system of Ethiopia is in line with the organic way of Adrican / Ethiopian things. Centralised Rule is favored by the likes of Tedros Kasahun so they can undermine many colorful cultures in favor of Amhara language and custom in the name of unity. Abrah, I am familiar with the travel writings of Augustus Wylde but I think that Ethiopian oral history as well as the written accounts produced by Ethiopians holds more weight than one account from a foreigner. Hence, I do believe that there is enough evidence to say that Menelik II was indeed present at the battle. Also, I am not making any pronouncements about the benefit of a federal system. That is absolutely up to Ethiopians to discuss and decide. Garo, : the mere reason for rejecting tedi afro’s tikur sew song by you and your likes is the current narrow ethnocentric political outlook, nothing less nothing more! Try to understand this okay?! What is wrong with rejecting what is one sided,chauvinistic, insulting song of Teddy. Nobody is denying your wright to admire Menelik, We simply have a different story to tell about this man you call Imeye Menelik, Unfortunately it is an ugly story that some of us know to be true. Thank you so much for the translation correction. I will adjust it. I had hoped to get some feedback there as I assumed there were errors. Indeed, I do hope to get the Afaan Oromo lyrics translated soon. While I enjoy spirited discussion I am saddened at the vitriol and divisiveness. However, you are right, such political divisiveness is a contemporary reality – and certainly not limited to Ethiopia! Thank you Rachael for a reasoned factual commentary, not just on “Tikur Sew”, but for providing a historical perspective on the Amhara, Oromo, Tigre, Gurage…supposed ethnic divide. For those who eschew a particular point of view (Oromo, Amhara, Tigray, Gurage, Afar…..) this is from a non-ethiopian academic, setting the historical facts straight. This is just her opinion, this is not her field. That is why she came out taking sides. Her opinion does not shed any new light. This is an old narrative that has been told over and over by Abyssinians. The fact that it is being told by non Ethiopian doesn’t make any more relevant or truthful for that matter. She came out as biased if anything. We know who we are, we are not going to bothered by one sided comment no matter where it comes from. Trust me, life goes on this side too. We don’t spend too much time about worrying about comments like this. And last but not least, we are not asking for any validation of our history in forming the present day Ethiopia either. Ethiopian history is indeed my field of study. I agree that an author’s nationality does not guarantee the accuracy of their account and all narratives are biased. All storytellers have agendas, historians included. So to deny bias of any kind would be dishonest. All that said, my intention was to briefly (because one can only do so much in a blog post) discuss how highly contentious and divisive ethnic politics influences the way conversations about the past take place—sometimes to the exclusion of evidence. Some of the commentary on this thread seems to illustrate this. For what it is worth, I do not support any ethnic political faction in Ethiopia and never have. If I have an agenda here, it is simply to have a conversation based on the principles of peaceful coexistence, mutual respect and understanding.